This outfit is blog unworthy, and I do apologize for the lack of effort and imagination! It was one of those days when you have to do a million things and you grab whatever feels comfy and warm. Although I wasn’t very successful on the second part I must admit! I did my eye make up later in the day (in my car! ), and I just took a picture of it. Do you ever do your make up in your car? Not while driving though I hope...! I loved the title!!Elementary!!!hahaha! !But you look gorgeous and the eye look...fabulous doll!!! You always look so pretty and classy! poly maresoun oi mvb skies! Great outfit, the biker jacket drives me crazy, really. I´m so glad you liked San! And YES! I think the letters are too small!! thank you so much, I appeciate a lot your honesty. really thank you, I´ll work on that. I never find things like those boots in bershka. you clearly have a good eye for shopping.. i always miss these things!! Τα πας μια χαρά και μην σε αγχώνει τίποτα!! Αν μια μέρα δεν προλάβεις να ανεβάσεις ανάρτηση δεν χάθηκε ο κόσμος! Ανθρώπινο είναι..
Και το απλό ντύσιμο,η προσωπικότητα μπορεί να το απογειώσει! !Αυτό να θυμάσαι! no i am not playing the quitar unfortunately. it's my brother's! i love your leather jacket! ARRIETOYLA ΜΟΥ ΓΛΥΚΙΑ ΚΑΘΕ ΜΕΡΑ ΠΕΡΝΩ ΑΠΟ ΤΟ ΣΠΙΤΑΚΙ ΣΟΥ....ΑΛΛΑ ΔΕΝ ΠΡΟΛΑΒΑΙΝΩ ΤΩΡΑ ΚΑΠΟΙΕΣ ΜΕΡΕΣ ...ΝΑ ΑΦΗΣΩ ΜΗΝ...ΤΕΛΕΙΩΝΑ ΚΑΤΙ ΚΑΤΑΣΚΕΥΕΣ ΓΙΑ ΜΙΑ ΕΚΘΕΣΗ ΠΟΥ ΗΡΘΕ ΞΑΘΝΙΚΑ!! !...ΓΙΑ ΝΑ ΔΟΥΜΕ....ΕΣΥ ΟΠΩΣ ΠΑΝΤΑ ΣΟΥΠΕΡ...ΚΑΙ ΤΟ ΜΑΚΙΓΙΑΖ ΣΟΥ ΥΠΕΡΟΧΟ!!!! Great, simple, casual outfit, can't go wrong with that! 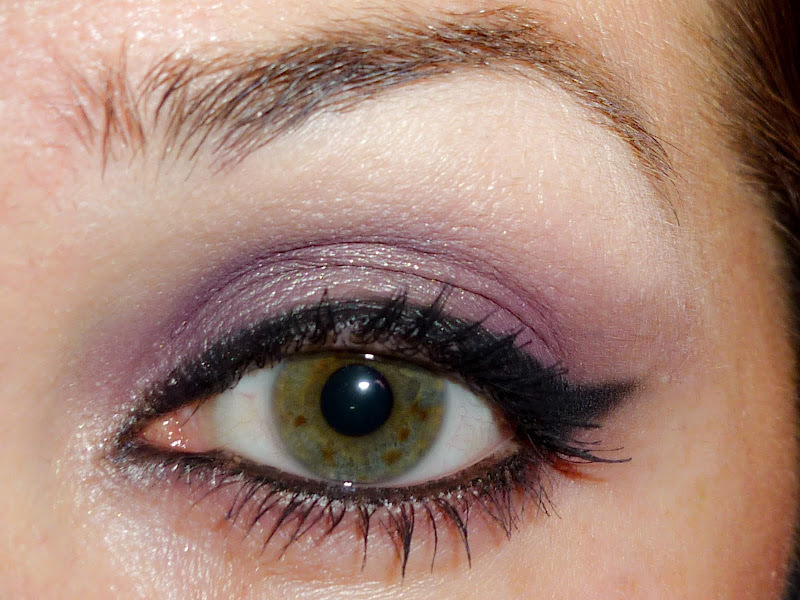 Love your eye makeup too, there's sth about purple&black combined that always manages to catch my attention!! I Love this look on you. Your boots are fly. I want them. Yes I do makeup in my car...when I wait the green light to come :D Love this look on you!